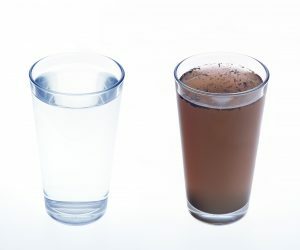 Chlorine in tap water is very common, since chlorination of municipal water supplies is a widespread and popular method to disinfect water with the purpose of eradicating disease-causing bacteria, viruses and cysts from tap water. 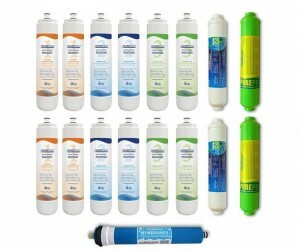 Luckily, chlorine is fairly easy to remove from water with the help of carbon based chlorine removal filters. 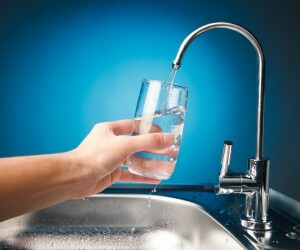 Chlorine has a strong odour and can be tasted when drinking water straight out of the tap. Chlorine levels in water should not exceed 4 mg/l, which is deemed safe for human consumption. However, even levels much lower than 4 mg/l can cause issues to some immunocompromised individuals, or persons suffering from asthma or skin conditions. Whether you’re an at-risk category or you’re worried about the long-term effects of chlorine exposure, we’ve gathered the best filters to remove chlorine from water. 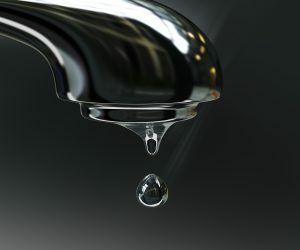 When you turn on the tap at home, you have the expectation that the water pouring out of your faucet is of drinking water quality and contaminant-free. While water suppliers do carry out hundreds of tests to ensure that this is the case, as water travels to your home, some toxins may still find their way into your tap water. Artificial water fluoridation remains a controversial issue as new studies emerge suggesting that the side-effects of fluoridation outweigh the purported benefits of fluoride in reducing levels of tooth decay in communities with fluoridated drinking water. Some countries have chosen to side with the findings of new studies and opted for the cessation of fluoridation, in other countries, including the UK and US, artificial fluoridation is still being practiced. So, what are the opposing views on fluoridation, what are the harmful effects of fluoride and what can you do to remove it from your water? For those who don’t want to have either artificially added or naturally occurring fluoride in their tap water, we have gathered the best filters for fluoride reduction. Although heavy metals are naturally occurring elements with many industrial applications, their high atomic weigh, density and toxicity make them a dangerous component of drinking water. 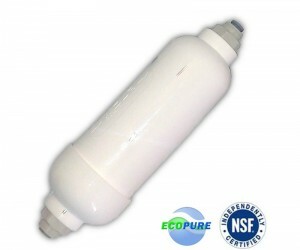 Because water filters are designed to target various types of harmful contaminants in drinking water, some water filters are useful in reducing and removing heavy metals, but not all filters are capable to efficiently deal with heavy metals. Not all filters are created equal, and most filters are not particularly adept at removing heavy metals from water. So, which are the best filters for heavy metal removal? And how dangerous are the heavy metals present in your tap water? Changing Filters – Why, When and How? Your water filter’s performance is correlated with the quality of the water filter cartridges within the system and their timely replacement when they reach the end of their service life. If you notice that your water filter’s performance is not up to par anymore, it may be a sign that your filters need changing. 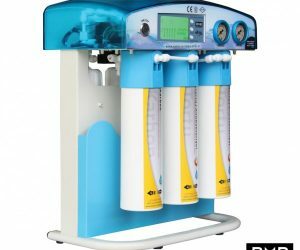 Water filter cartridges within a water filter system can only filter water for so long before they become saturated with contaminants, which makes them unable to produce high quality drinking water. As a result, your water filter’s performance may take a hit. Problems with water flow, bad tastes and odours in your drinking water are some of the few signs that your water filter is no longer operating at peak performance. In most cases, this is due to filter cartridges being saturated with contaminants or becoming clogged because of contaminants. In this article, you will learn about the importance of changing filters on time, how to replace your filters, and the consequences of neglecting to carry out timely filter changes. Fridge Filters – A MUST Have? You like filtered water, but you prefer it chilled? Sure, you could pop filtered water into the fridge for a quick chill, or you could install a fridge filter and have filtered water dispensed directly from your fridge any time you fancy it. If your fridge is equipped with a water dispenser or ice maker, chances are that your fridge already has a fridge filter installed. If not, you could have one fitted to enjoy chilled filtered water at your fingertips. 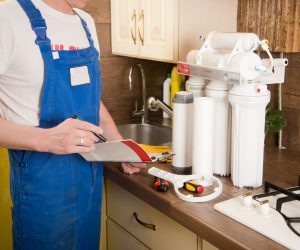 For the most part, fridge filters are inexpensive and easy to replace, but since not all filters are made equal, in this article we deal with the most important things you should know about fridge filters before buying or replacing one. Inline water filters – To buy or not to buy? Inline water filter – Should you buy one? lnline water filters are an under-sink water filter subtype that are installed directly on a cold mains water line. They are especially useful in low flow environments, being the go-to filter in refrigerators, water coolers, caravans, boats or holiday homes. As opposed to regular under-sink water filters, inline water filters don’t require an additional tap, allowing you to keep your existing kitchen tap. Usually, inline water filters don’t have replaceable cartridges, which means that once they reach the end of their service life, they must be replaced in full. 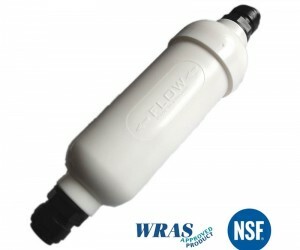 Inline water filters seem like a simple enough, set it and forget it type of filter, but are they for everyone? Let’s see if an inline water filter is a suitable choice for you, and whether you should consider buying one. Tankless Reverse Osmosis Filters – Are They Worth It? Tankless reverse osmosis filters, also called direct flow reverse osmosis filters, are a novelty in the field of reverse osmosis filtration. 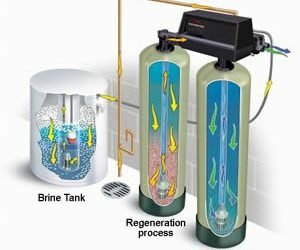 Reverse osmosis systems that do come with a reverse osmosis tank operate on the “storage before consumption” principle, that is, tap water is filtered and then stored in the RO tank before consumption. Tankless models, on the other hand, rely on immediateness. 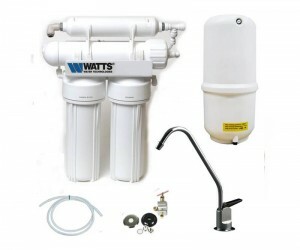 Direct flow systems or tankless reverse osmosis filters do not feature any storage tanks and tap water is filtered and immediately ready for consumption. Tankless reverse osmosis systems are preferable to traditional systems in homes where space is an issue, but are tankless reverse osmosis filters worth the higher price tag? Should you buy one? And how do direct flow reverse osmosis filters work? What Is Hard Water and Is It Safe to Drink? Hard Water – Should You Drink It? Hard water is a major issue in most parts of the United Kingdom, and many homeowners struggle to curb the harmful effects of it, which may appear as rings of insoluble soap scum on your bathroom sink and tub, or mineral deposits in kettles and dishes. While these may at first may seem the marks of poor housekeeping, there are in fact, some of the harmful effects of hard water. Hard water can damage household appliances like water heaters, washing machines, coffee makers, etc., but is it safe to drink? In this article, we deal with the effects of hard water on your health, household appliances, and the easiest ways to get rid of hard water and limescale. 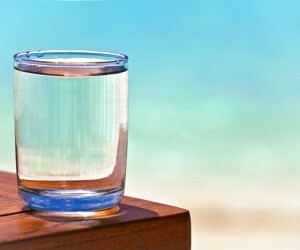 Alkaline Water – Healthy or Hype? Alkaline water is a liquid darling praised by celebrities, health magazines and health conscious individuals. The purported benefits of alkaline water are numerous – it is believed to help maintain the alkaline-acid balance in the body, to boost the immune system, to increase physical performance, to detoxify the body, and it’s even suggested that it can help in the fight against cancer. But is there any truth to these claims or are they mostly anecdotal? Is alkaline water healthy or it’s mostly a hyped-up product to justify the higher price tag? In this article, we set out to find out the truth behind the alleged benefits of alkaline water.